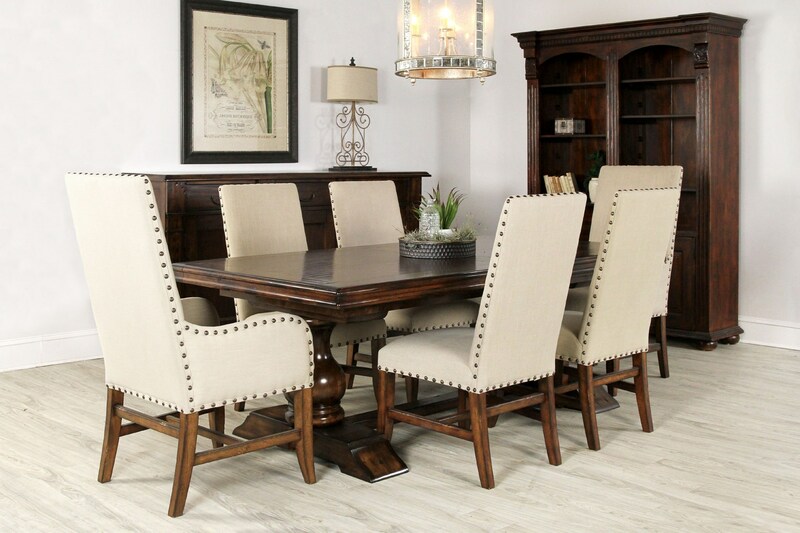 Perfectly accented with a hand-planed top, wooden dowel peg details in a warm rich finish all provide the Tuscan Long Extension Dining Table with true European Old World style and charm. This extra long extension dining table is an amazing value with its high end quality and craftsmanship. Both leaves come with a thick cloth cover to protect them and one leaf stores inside the table. Need Seating? 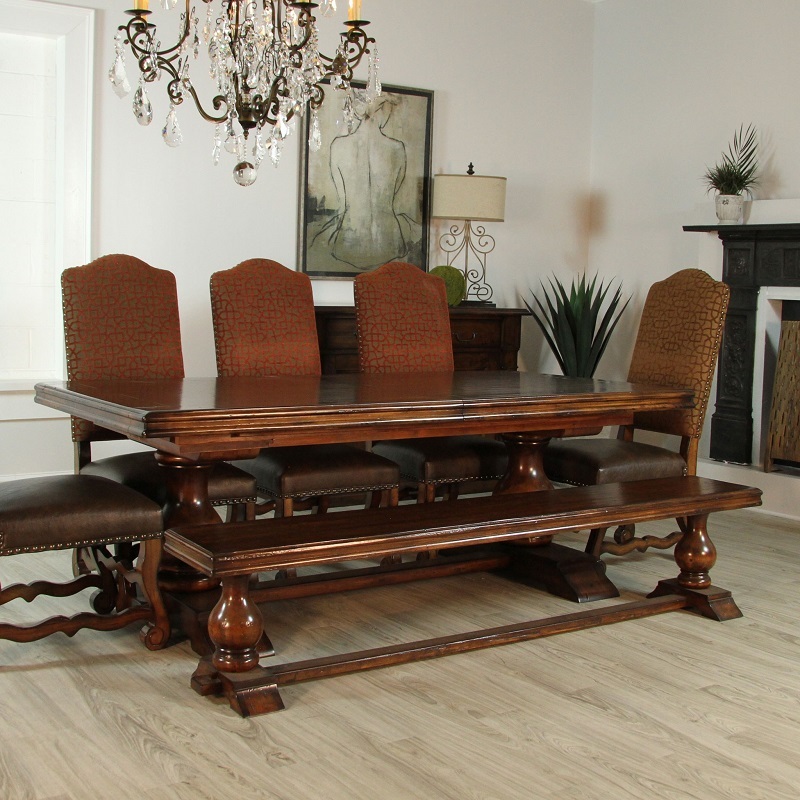 View the Hayley Dining Chairs or the Tuscan Dining Bench. Delivery is White Glove delivery into your home. Includes assembly and removal of debris. Shown above with no leaf (84") and one leaf (106") in insert photo. With both leaves extends to (128"). One leaf stores inside table. 12" round pedestals and each foot is 8" wide.